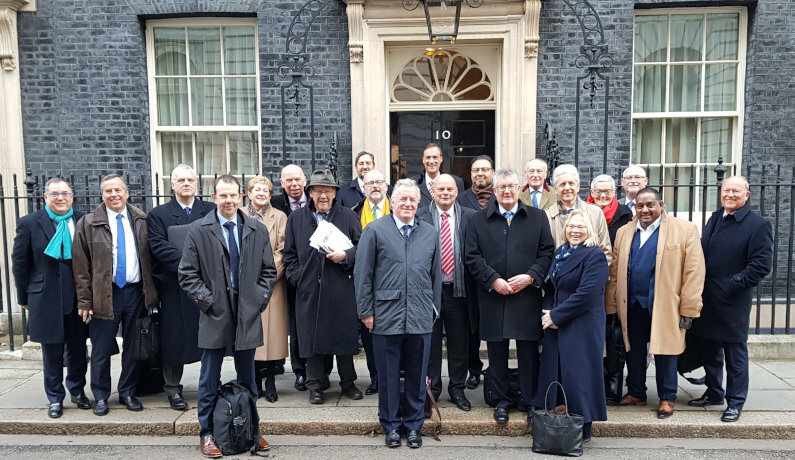 The chair of Greater Manchester Local Enterprise Partnership (LEP), Mike Blackburn, joined other business leaders from England’s LEPs for a Downing Street meeting with Prime Minister Theresa May. The meeting was held to track progress on LEPs’ work with government to boost economic growth for communities across the country. The Prime Minister heard from business leaders representing each of the LEPs across England including those in the Northern Powerhouse (NP11), the Midlands Engine, and the Cambridge-Milton Keynes-Oxford Arc. LEP chairs briefed the Prime Minister on the development of their Local Industrial Strategies – blueprints for driving long-term productivity and prosperity – which will see LEPs work closely with government to unlock local growth. Theresa May said: “Local Enterprise Partnerships have a vital role to play in delivering our modern Industrial Strategy.